Vidhyasahayak Bharti 6 to 8 Gujarati Medium Chhota Udepur District. Khali Jagyao Nu Mangana Patrak. 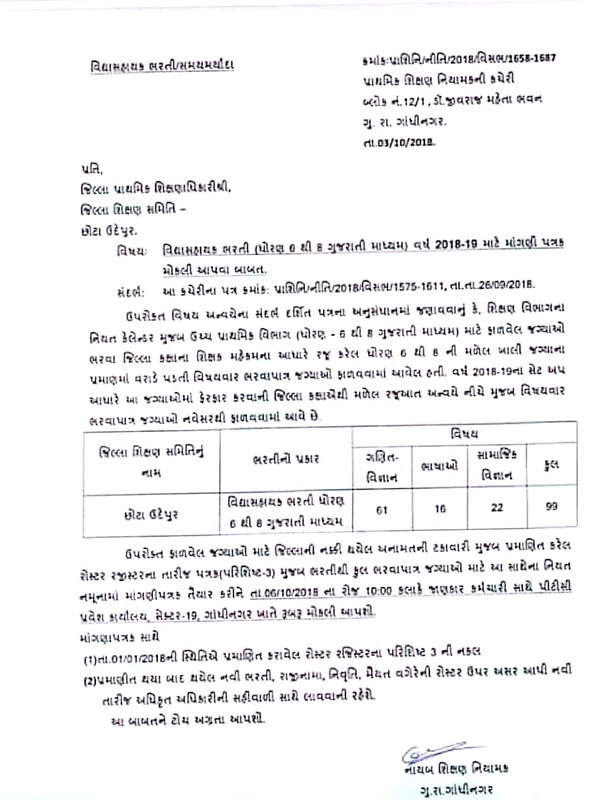 Vidhyasahayak Bharti 6 to 8 Gujarati Medium Chhota Udepur District. Khali Jagyao Nu Mangana Patrak.For enhanced participation of electors in the electoral process and reducing the electoral malpractices, it is essential to improve the quality of electoral registration process and of the electoral rolls. Booth Level Officer (BLO) is a local Government/Semi-Government official, familiar with the local electors and generally a voter in the same polling area who assists in updating the roll using his local knowledge. In fact, BLO is a representative of Election Commission of India (ECI) at the grass-root level who plays a pivotal role in the process of roll revision and collecting actual field information with regard to the roll corresponding to the polling area assigned to him.